The Legal Genealogist can’t resist trying this one more time. After all, I’m right here in South Carolina, just down the road from where my third great grandfather Jesse Fore enlisted in the South Carolina Militia in the War of 1812, and I’m going to be here a few days trying to find out more about Jesse and his family. There are, of course, a few minor little details about Jesse that I’d still live to find out. You know… those inconsequential details like … oh … where was he born? Who were his parents? 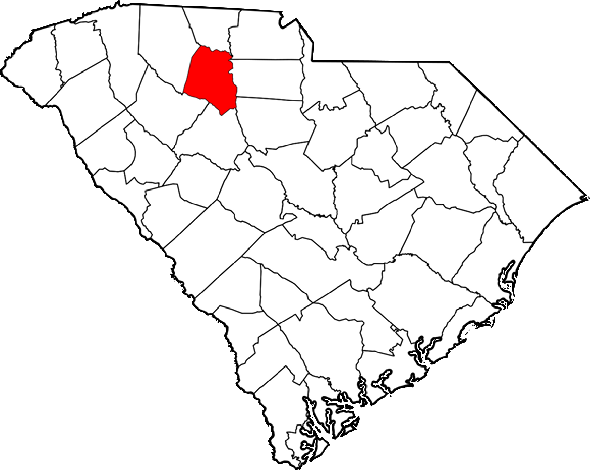 There are two candidate families in Union County, South Carolina, shown in the map below, around the time when Jesse might have been born there — Jesse and Elizabeth Fore and Archelaus and Rachel Fore11 — and only a hint of evidence so far to say which one is a better fit (probably Archelaus, but…). I’d also like to know just how was it that he felt free to marry Sarah Nicks in 1855 when his first wife Nancy didn’t die, in Parker County, Texas, until 188212 — and I can’t find a hint of a divorce case. Now I’m not going to pretend I’ve mined every last record out there that might help me track Jesse back. I’m a long way from satisfying the Genealogical Proof Standard13 — or myself — as to Jesse’s ancestry. That’s one of the reasons why I’m staying over in South Carolina to do some research. But given the record losses here,14 I sure wouldn’t mind taking just a little shortcut here and trying to leapfrog him back to the family I think he was part of: the Faure family which, with other French Huguenots, settled in Manakin Town, Virginia, around 1700.15 If I could make that link, then even if I don’t ever pick up more of a trail to go backwards from Jesse, I’d at least have a clue where to start — to go forwards from Manakin Town to Jesse. And all I need is just a little bit of DNA. Not much. No needles, no blood, and — seriously — not even any spit. Just a swab rubbed on the inside of a cheek of just one documented male direct-line descendant of the Manakin Town Faures. Just one male Faure, or Fore, or even Ford who’s got the paper trail my Jesse didn’t leave to his descendants. I’ll handle all the testing details. I’ll pay for the test. Nobody else will even get your email address if you’d rather not give it out. Nobody else — not even the testing company — has to have your physical address. My 4th great-grandmother was Elizabeth Fore who married Charles Penick. She was born about 1795 in Prince Edward County, VA to Charles Fore and Mary Lavinia Anderson. I have no further information about Charles Fore at this time. We all seem to have the story that we might be… and no proof! Darn! Some undocumented trees show my Charles Fore of Prince Edward County, Va going back to a line in Manakin, VA. But with no sources beyond other trees, who knows if there is any truth to it. Gee, Judy, I wish I could help. I’ve got ancestors who were Huguenot, or maybe Mennonite, who were in the place you’re looking for at the right time. I’ve even got the paper trail. We’ve done the DNA, too. Unfortunately, the name’s Hans Wagner, not Fore, Faure, or even Ford . . . . He’s one of our family’s biggest brick walls, and the DNA didn’t help at all, nor did his brother’s will, of which he was the executor. It’s not one bit funny, I know. I’m just commiserating. Sadly, I cannot help. I do have Faure’s in my line in Manakin Town in the early 1700’s. But my direct ancestor was one of the girls who married a Bondurant. Wish I could help, but hello cousin! I’m pretty positive about my Fore line back to Richard Fore 1750 but have been unable to go any farther back. My brother has done DNA with Ancestry as has a cousin with the Fore name. ANY help would be appreciated.